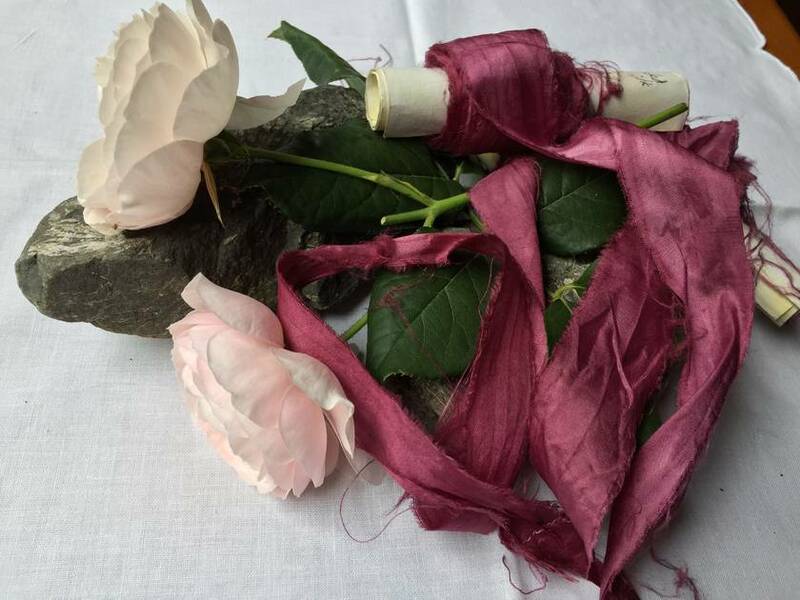 Lovely rustic-looking recycled sari silk ribbon, plant-dyed to a rich berry purple/red. This ribbon is a recycled product, with raw edges and it has been joined at intervals along its length. Average width is 1.5cm, and this particular ribbon is 5m long - perfect for tying posies and buttonholes, or wrapping around that special gift. The ribbon is colour-fast in cold water. If you do decide to wash please note that you should only use a pH neutral detergent on these ribbons and only if necessary. Ribbons can be ironed on a warm/medium hot temperature.